If you were alive before the 80’s, it might have come as a surprise just how important computers and technology turned out to be for humanity after less than half a century. You might remember the monochrome monitors which were good for data entry and text editing and pretty much nothing more. Or perhaps you remember the CGA monitors in all their purple and teal glory, delivering never before seen graphics that still looked kind of odd. There were also de dot matrix printers, which took 2 minutes to print out a full page of text and triple that if you wanted to print an image (which, admittedly you would not be doing). Perhaps you had a few run-ins with one of the slow as molasses processors of the time, which made what is now considered simple an exercise in frustration. And who can forget running out of space on a floppy disk? You know, the ones that held Kilobytes of information inside something bigger than a DVD case. Sure, a little while later we got 3.5 inch disks, but that only meant the capacity went up to less than 1 and a half megabytes (1.44 to be exact). Finally, you might remember that connecting peripherals used to be a mind-boggling patience building exercise. Which of the serial ports could you use, and when you finally found it, how long would it take for the data to transfer? Ages, it seemed. As you probably know, all of these peripherals and components have improved by leaps and bounds since those old days, and one might argue that displays are the ones that have consistently shown the most improvement in all areas. Today’s displays have better resolutions, are slimmer, lighter and cost less money. They have evolved so much that one of the main decisions to make when choosing a monitor is even the technology the display uses. And that’s what this article is about: helping you know the difference between two of the most methods of displaying information on a screen: LCD vs LED. LCD stands for Liquid Crystal Display, and as the name indicates, it uses the light modulating properties of liquid crystals in order to display images or data. Liquid Crystals do not emit light directly, however. LED stands for Light Emitting Diode and they are simply diodes that emit light when a suitable voltage is applied to them. When used in arrays, they can be used as the pixels of a display. Now that we know the basic principle of operation we come to the question you probably started reading this for: what are the differences between the two and which one should I choose? 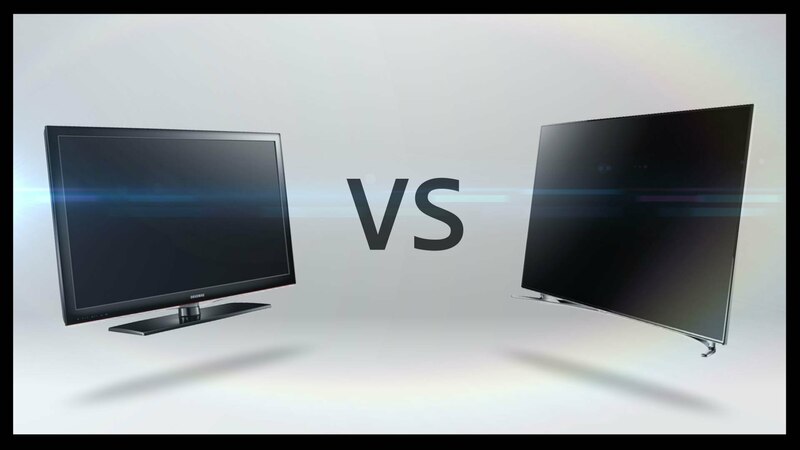 As you may have surmised, both LCD and LED screens are practically the same. An LCD display has two layers of glass that are polarized and joined together, the liquid crystals then pass or block the light to display the television picture. LEDs. These LEDs have two methods of providing the backlight: Edge Lighting, which has the LEDs placed only along the edge of the monitor and Full Array Lighting, which places the LEDs along the whole monitor. In terms of image quality, if you are really a stickler and/or want the absolute best image, you’d be better off buying a display that is of the Full Array Lighting variety, as well as with local dimming, which means that individual zones of LEDs can dimmed or brightened, which results in a much better image. If a great image is not an issue, then simply go for an Edge Lighting display. This doesn’t by any means mean that these monitors have bad image quality, they simply don’t have quite the same dynamic range that Full Arrays do; you’ll find that the image quality is more than satisfactory. And remember, if you want to have your computer running in tip-top shape, you have to have everything up to date, including drivers. Fortunately, there is a way to do this automatically and easily: look no further than Safebytes’ DriverAsssist.